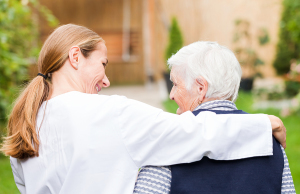 Does Your Elder Have a Higher Risk of Experiencing a Hip Fracture? ← Should Your Parent Get Screened for Cancer? Elder Care Arlington TN – Does Your Elder Have a Higher Risk of Experiencing a Hip Fracture? Breaking a hip is something that you and your elderly family member both might dread. The good news is that if you can identify certain warning signs and risk factors, you may be able to prevent problems that could lead to a hip fracture. Being a woman can be a greater risk factor for breaking a hip mainly because your elder is also at greater risk of osteoporosis and losing bone density after menopause. Your senior’s doctor can test her bone density and determine if medication or other treatments could help prevent future problems. If your elderly family member hasn’t been eating well or has a history of eating foods that don’t give her the biggest nutritional boost, that can be a problem. Your elder’s body needs the right mix of nutrients to help her bones, muscles, and entire body stay healthy. Consider talking to a nutritionist about improving your senior’s diet for best results. Some habits, like smoking or drinking more than moderate amounts of alcohol, can create issues in terms of bone density. Bone testing might be in order if your elderly family member engages in some of these types of habits. Depending on how long your senior has had some of these habits, she may find cutting back to be easier than quitting completely. Medications that your elderly family member needs for other conditions can create problems for her in other ways. She might be disoriented or dizzy after taking the medication, which can create a tremendous tripping hazard for her. It’s definitely worth talking to your senior’s doctor about the medications she’s taking and whether other options are available. Some aging adults just can’t let go of objects and items that end up creating a serious hazard at home. If that’s the case for your elderly family member, it might be time to talk about decluttering her home a little bit. This can be difficult to do, but it’s well worth the pain of decluttering to help your senior to be safer at home. Elder care providers can help you to keep up with spotting potential safety issues after a major declutter. Understanding what puts your elderly family member at a greater risk for breaking a hip allows you to do more to try to keep that from happening. Make sure that you talk with her doctor to determine if there are any other factors that you can focus on to help keep her safe. For Elder Care Services in Arlington TN, please contact the caring staff at Personal Care Services MidSouth today! This entry was posted in Elder Care Arlington TN, Personal Care Tips and tagged Elder Care Arlington TN. Bookmark the permalink.